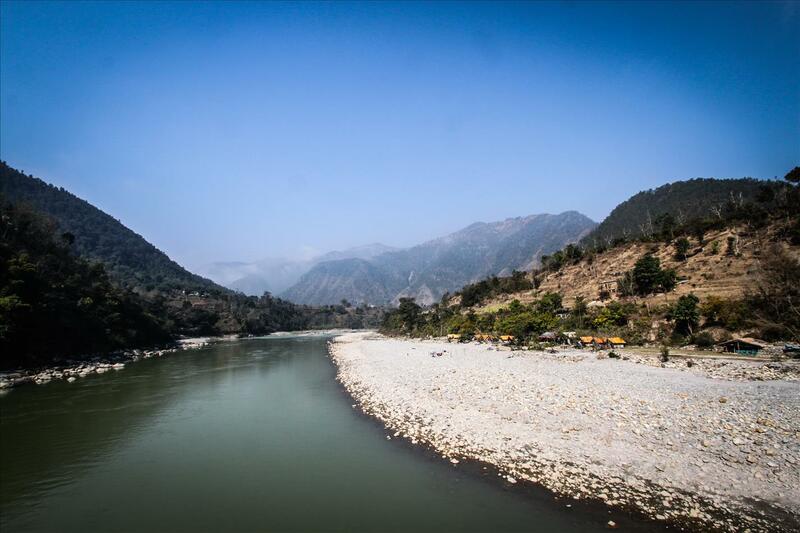 Getting to Pokhara is a harrowing 5 hour drive on a winding mountain road, but the sights on the way offer some of the most beautiful snapshots of Nepali mountain village life. The scenery was gorgeous as we navigated the roads with the Himalayas in the backdrop. The driver briefed us on the sites we passed and even stopped at a few particularly epic view points. 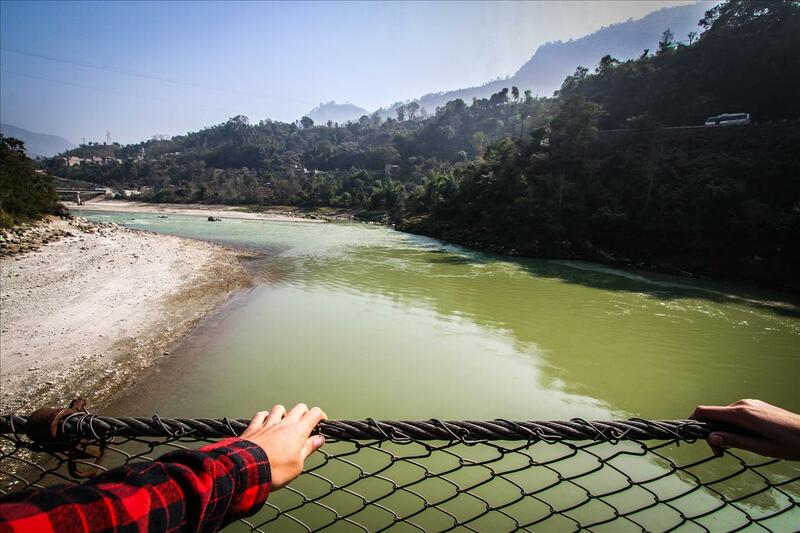 One place we stopped was a roadside village that uses a suspension bridge to cross a scenic glacial mountain river. We clung to the cable railings of the bridge and made our way out above the river. The drop into the turquoise green water hung in the back of our minds as we glanced through the cracks at the flowing water. The bridge was a short stop on our journey, but a major vein of life and resources for the people of the village. We watched children at play on the white stone banks of the river. We saw riverside homes on prime real estate and women doing their laundry in the water. Many people make their way across with large loads on their backs and heads; business as usual for them. 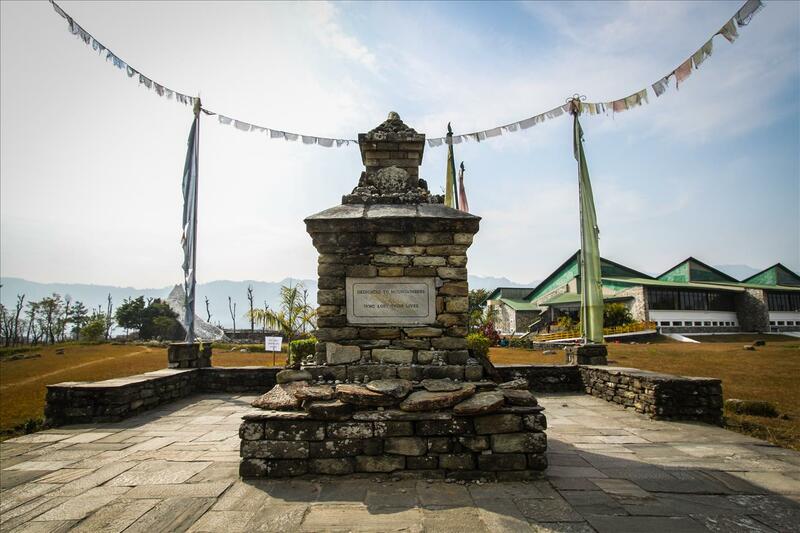 After being given a taste of the gorgeous areas around Pokhara, we decided to schedule a 2 day tour to check out more of the area’s attractions. Our first stop was Devi’s Falls: a sacred waterfall and pools site that lies atop an underground network of sacred caves and Hindu shrine. It had been a while since I had tossed money into a wishing well, but I dug up a couple of Indonesian coins from my wallet and wished for something (I’ll never tell!) while Shane and I tossed them in. Hopefully the wishing well isn’t as picky with it’s wish granting currency exchange as the airport currency counters. We enjoyed the falls and made our way across the street to the Gupteshwor Mahadev Cave for an Indiana Jones style adventure deep underground. We made our way along the lighted paths of the tunnels exploring the caves by ducking through low ceiling tunnels and occasionally getting dripped on from the water table above us. We passed a very sacred shrine illuminating it’s cavern with candle light and infusing the smell of incense and flowers with the damp stone earth. At the end of our journey down slippery steps and mild claustrophobia inducing tunnels we found ourselves in a large cavern. We were met with the most impressive sights. 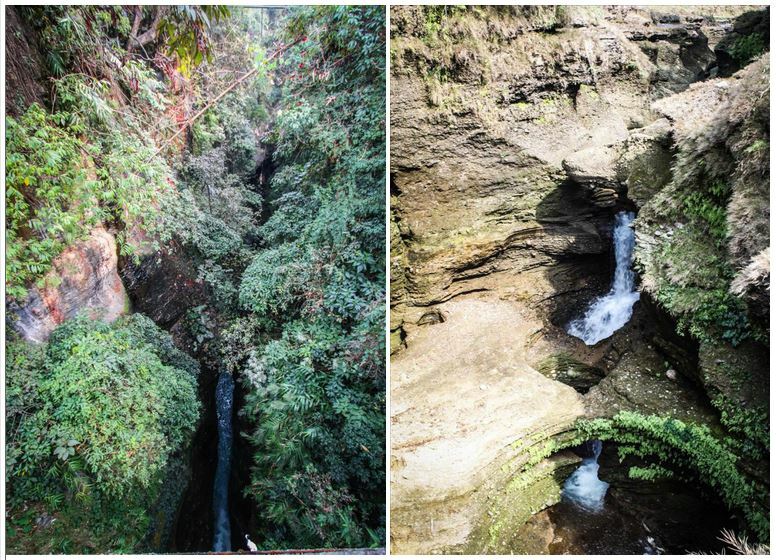 At the end, the cavern opened with a crack through which you can catch a glimpse of the green of vegetation, the yellow of rocks in the sun outside, and Devi’s fall cascading down into a cavern pool. …or you can google to find a better one. The next stop was the International Mountain Museum. The museum welcomes you with a tribute to the fallen climbers of the world: a somber yet beautiful monument. Inside there were multiple displays to take in. There were some locally contributed exhibits mixed in with contributions from Japan, Korea, and other countries eager to stake their claim to fame. Some boasted their famous climbing conquerors of the Himalayas, others contributed huge panoramic photos, and some even threw adverts to visit their famous peaks for the mountainoholic tourist in Nepal. 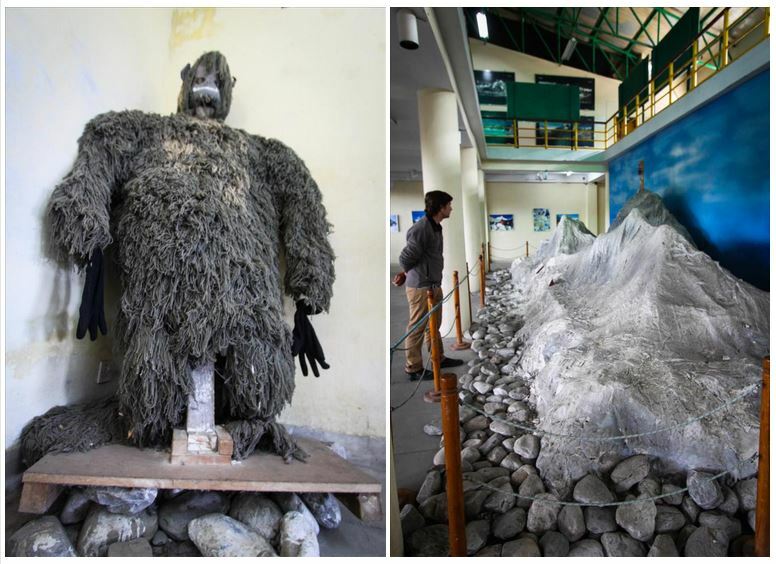 Two of my favorites were the Yeti exhibit with first hand accounts of sightings from notorious climbers and photographic evidence (so you know it’s not just a figment of an oxygen deprived mind), and a paper mache rendition of Everest that would make a primary schooler with a relief map project weep. I was suddenly reminded of project submission day shame from kids whose parents obviously did their project for them while my rendition of the Sierra Nevadas was merely super amateur 4th grader work. Another gem was the exhibit of the Sherpa expedition to rid Mount Everest of some of the heaps of litter left on it by exhausted climbers. 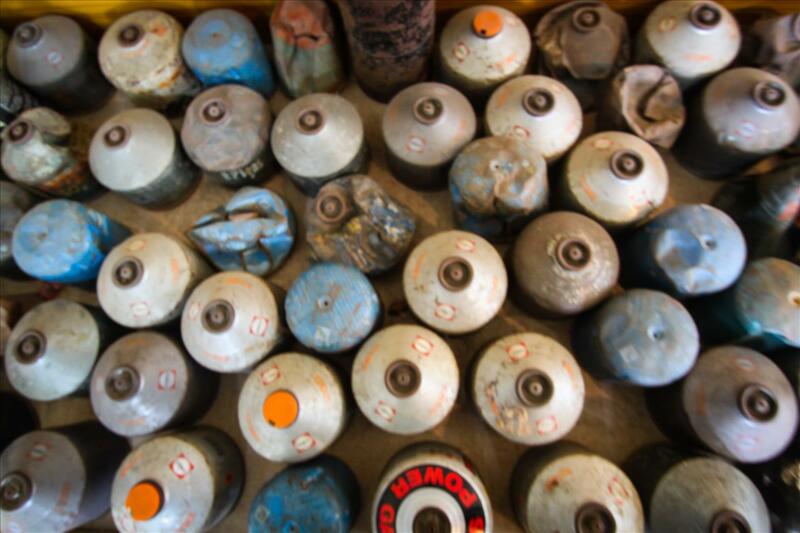 It featured countless bottles of oxygen that were recovered and photography of the Sherpas smiling loading bulging sacks of litter on a helicopter. Amazing. 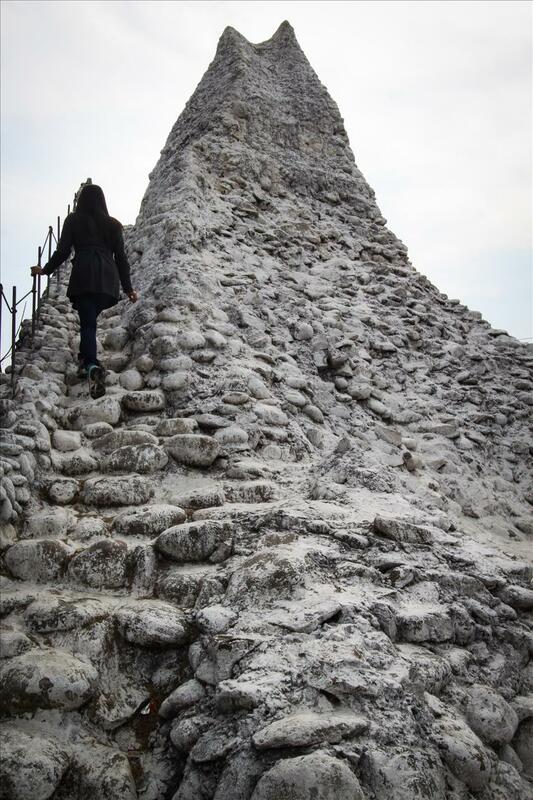 Oh, and I climbed a mountain at the museum. It’s a record holding mountain I’ll have you know: The highest peak at the International Mountain Museum. The next morning was the best sunrise of my life out of the handful of sunrises I’ve been awake for. 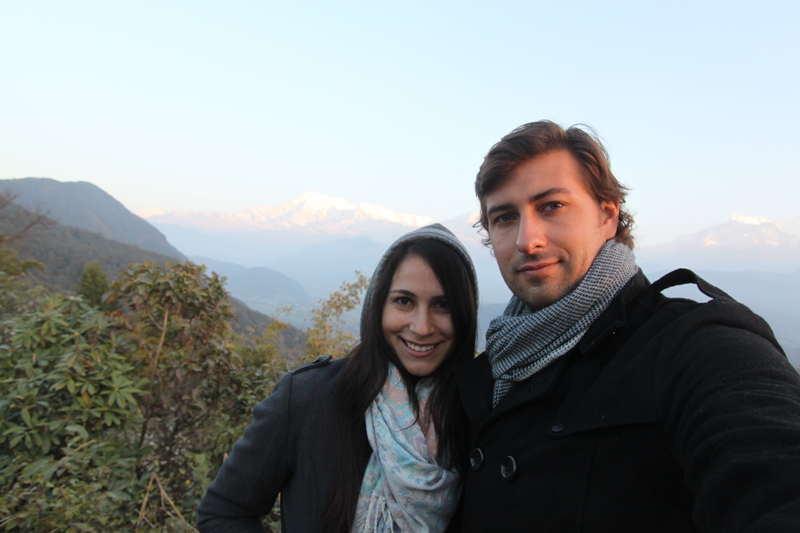 The Pokhara tour ended with a sunrise view of the Annapurna Mountain range ranked 10th highest in the world and one of the most difficult to climb. The majestic beauties have the highest fatality rate of any mountain in the world making the powerfully scenic view also one to respect. 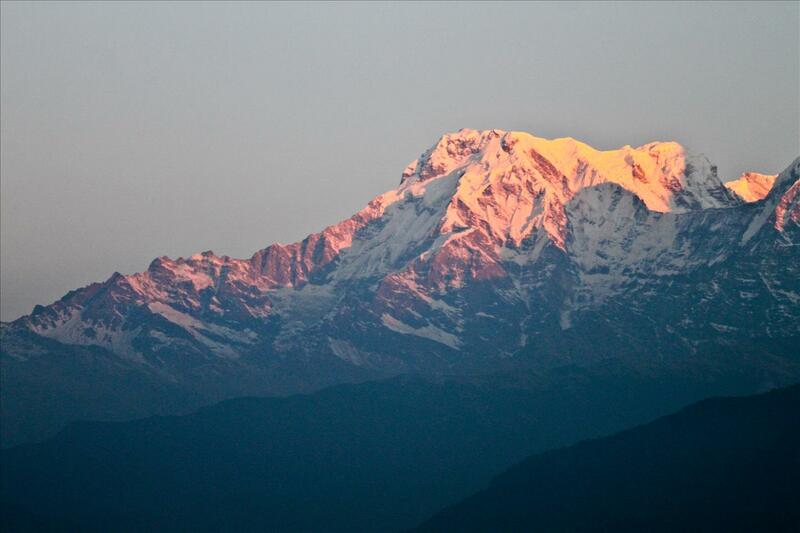 We watched as the rising sun painted the blue and white peaks pink with dawn and were serenaded by some Buddhist chanting from a tour group. It was spectacular. 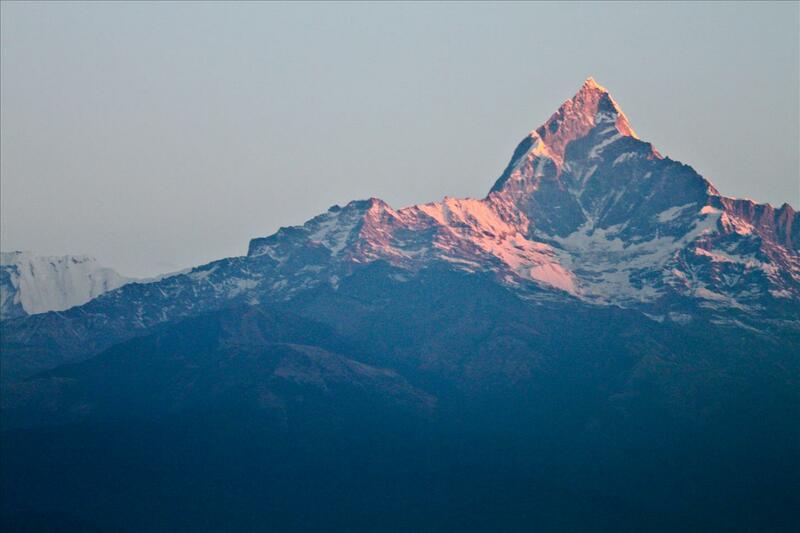 The natural wonders that we got to experience in Pokhara encompass only a tiny part of the natural magnificence that Nepal has to offer.